Shri Satyaynaramji Goenka, who was the principal vipassana Teacher, was the recipient of many awards and honors in his lifetime ,including a prestigious Padma Awards from the President of India in 2012 .This is one of the highest civilian awards given by the Indian Government. The principal Vipassana Teacher ,Shri Satya Narayanji Goenka breathed his last in September 2013 ,at the age of 89. He has left beyond an imperishable legacy: the technique of Vipassana, now available more widely than ever before to people around the world. 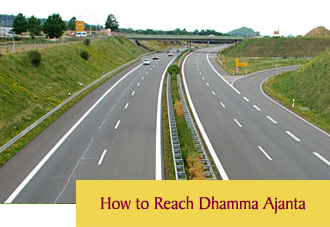 He has taught the Vipassana where in everybody is supposed to be on his own to follow the path of Dhamma. Before the passed away he has made and put in place an organized set up in a decentralized format, an unique democratic set up,instead of appointing any single person or body to be a sole central successor or authority, he has put the onus of self –dependence, on all his appointed Teachers thorough out the world in all matters of Vipassana along with guidelines. A very clear road Map for the future course of Vipassana. DhammaAjanta is one of the Vipassana centers established under his guidance and present Center Teachers are nominated by him.